If you’re just beginning with your fitness program, the Confidence GTR Power Pro Motorised Treadmill could be a good choice for you. First of all, this folding treadmill is easy to store and can save a lot of space in your house. In addition, as you build up your endurance, you can add challenge to your workout with the 3 incline levels that come with this treadmill. The Confidence GTR Power Pro Motorised Treadmill is a highly functional piece of equipment that’s valued at a reasonable price. Therefore it has the potential to be a good investment if you are looking to start getting in shape. It only takes a couple of minutes to assemble the Confidence GTR Power Pro Motorised Treadmill, it’s a very compact treadmill so it won’t occupy too much space inside your house. Plus, it’s foldable making it easy to store when it’s not in use. 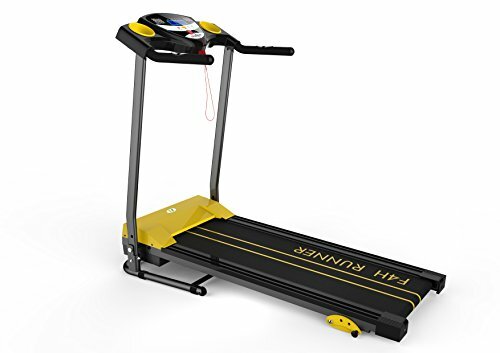 In addition, this treadmill has a 1.5 HP motor which will enable you to start at a speed of 0.6mph and build up your pace until you reach a maximum of 7.5mph. Furthermore, with its emergency stop clip, just attach it to your clothing and the treadmill will automatically stop once you fall off the machine. Additionally, it has a clear LED display that shows speed, distance, time, calories and heart rate. However, it has a running space that measures 15.7 inches x 43.3 inches which is small when compared to wider treadmills such as the Reebok ZR9 and the Karrimor Pace which are valued at a higher price. Furthermore, this treadmill is light and small making it both easy to assemble and easy to store. It’s best used for casual walking and jogging and is not recommended for heavy use due to the 1.5 HP motor. But don’t worry this is the minimum recommendation for a durable treadmill. Nevertheless, it has a lot of functionalities that still make it reasonable for its price. Also, the treadmill has 12 built-in training programs that can help you reach your target weight. Most noteworthy, the Confidence GTR Power Pro Motorised Treadmill also comes with 3 manually adjusted incline levels to add challenge to your workout. Aside from the buttons integrated on its clear LED display, the speed can also be adjusted on the handrails for easier access. There’s a small amount of technology included in the Confidence GTR Power Pro Motorised Treadmill, but this isn’t surprising considering it’s among the mid-range priced machines. It’s a simple piece of equipment to start with if you’re aiming to lose weight. Each of the 12 workout programs controls the treadmill’s speed for 30 minutes with the lowest speed 3mph up to most challenging speed at 6 mph. 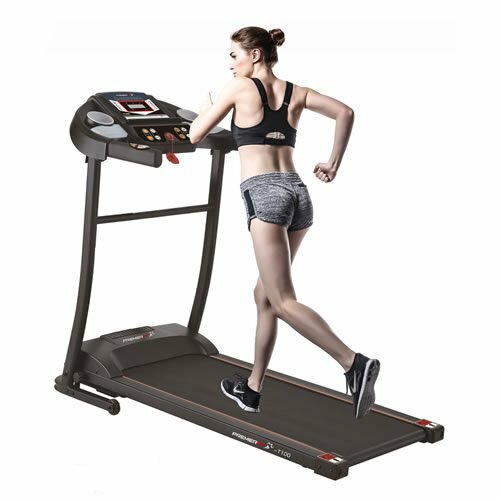 The running deck of this treadmill is small but can still accommodate users weighing up to 120kg and measuring around 6 ft. 7 inches tall. It’s a pretty sturdy machine and even has an emergency stop clip that automatically stops the machine in case you fall off. After you input all your desired settings and press start, this treadmill displays a 3-second countdown before beginning to move which allows you to prepare for your workout. This is all important as there are a lot of reported treadmill-related injuries in the US every year, meansing they could happen to anyone. The Confidence GTR Power Pro Motorised Treadmill is great for starters and for those who aren’t ready to spend a fortune on home gyms. 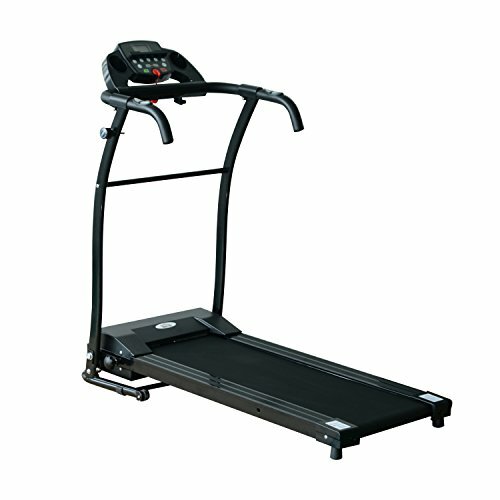 Also, it’s an affordable treadmill and majority of reviews show that customers are satisfied with this treadmill. First of all, this treadmill is packed with more features than the Confidence GTR Power Pro Motorised Treadmill, it’s also more affordable. The PremierFit T100 keeps you entertained while you run thanks to the AUX input with built-in speakers, not to mention the iPad holder which allows you to watch movies while working out. In addition, there are 12 built-in training programs and 3 manual exercise modes. Furthermore, this treadmill has large LED display that shows time, speed, calories burned and the exercise program information. 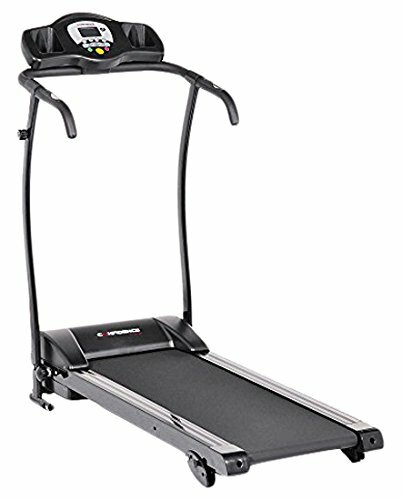 But in spite of all the factors that helps make it better than the other brands, the Confidence GTR Power Pro Motorised Treadmill has a smaller running space measuring 15.7 inches x 39.4 whereas the Confidence GTR Power Pro has a running space that measures that measures 15.7 inches x43.3 inches. Another thing to bare in mind is that this treadmill has a lower maximum weight that can only accommodate up to 90kg. But still, both treadmills are foldable which makes them easy to be stored and they both have emergency stop clips that automatically stops the machine when you fall off. The HOMCOM 1-10Km/h Treadmill is another simple and compact folding treadmill just like the Confidence GTR Power Pro Motorised Treadmill. However, it’s easier to transport this model because it has 2 integrated wheels. It also has a multi-functional LCD panel display that shows time, distance, calories, heart rate, and speed. It also has buttons on the handrails where you can adjust the speed as well. Just like the Confidence GTR Power Pro Motorised Treadmill, it has 12 workout programs to choose from and it also features an emergency stop key that automatically stops the machine when you fall off. However, the main difference between the two is that this model only has a 0.6HP motor whereas the other has a 1.5 HP motor which makes it more powerful. This treadmill is a basic machine that can be used by a novice trainer. It’s compact and foldable which lets you save space inside your house just like the Confidence GTR Power Pro Motorised Treadmill. With only 3 built-in programmes, it’s obviously more of a manual treadmill. The inclination with this model is also done manually. The speed goes up to a maximum of 10kph which is good enough for amateurs. It has a large LED display and wide handlebars that also have speed buttons integrated on them. It has a 1.0 HP motor which is considerably lower than other models and like others, it has an emergency stop cord for your safety. In case you’re wondering, F4H stands for Fit4Home Ltd., an online retailer of home-based fitness equipment. This treadmill is foldable just like all other models compared, however, what’s special about this one is the hydraulic release feature that lowers itself into position with just one push of a button. It has a clear LED display that lets you monitor your progress. This treadmill also has a 0.75 HP motor which is much lower than the Confidence GTR Power Pro Motorised Treadmill which has a 1.5 HP motor. It also highlights a running belt that’s made of a high-quality PVC and a running board that’s integrated with a 1.2mm high-density board. It has 3 levels of incline that are adjusted manually and it also has an emergency stop key. In conclusion, after reviewing the Confidence GTR Power Pro Motorised Treadmill, I can say that this treadmill could be a wise decision if you are looking for treadmills in this particular price range. It has the most powerful motor with 1.5 HP which means it’s durable. It also has a maximum user weight of 120 kg that makes it sturdy enough for running. In addition, this treadmill is simple yet functional which makes it one of the best options for those who are just starting to build their home gyms. 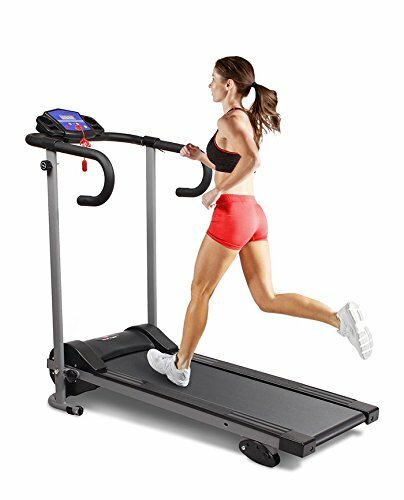 Why not compare this treadmill to other treadmill reviews?